For decades, Bio-Quinon Q10 has been one of the world's most widely sold Q10 brands. One of the main reasons for its popularity is that fact that this Q-10 preparation can document a high level of bio-availability. Q10 is a fat-soluble substance which is difficult for the body to absorb. However, thanks to a specialised manufacturing process where Q10 is dissolved in a vegetable oil solution and exposed to a heating process, the Q10 molecules are able to dissolve entirely at normal body temperature. The fact that the Q10 molecules dissolve completely in this product is the reason why Bio-Quinon Q10 can deliver such superior bioavailability of its active compound. One capsule daily, unless otherwise advised. Do not exceed the recommended daily dosage. Do not chew the capsules, but swallow them whole, preferably during/after a meal. 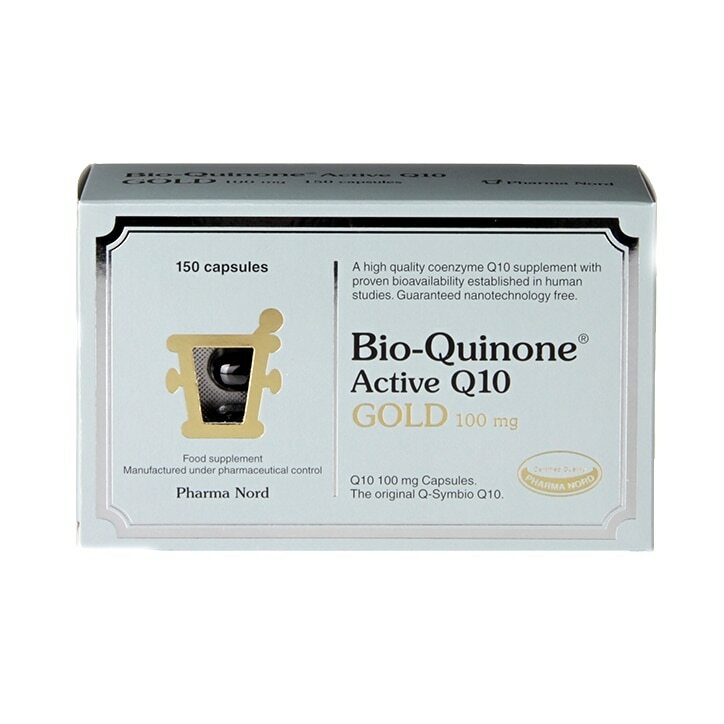 Pharma Nord Bio-Quinone Q-10 Capsules 100mg is rated 4.9 out of 5 by 7. Rated 5 out of 5 by Water Lilley from Good This is a product that everyone should take after 30 years of age. Rated 5 out of 5 by Dadvid from Great service and price My mother in law used to get the tablets on prescription but no longer, having the chance to buy one and get 50% off the other was great. She is now covered for nearly a year.